Egypt's interim government needs to look for alternatives to violence when dealing with Coptic protests. Violence, wrote Isaac Asimov, is the last refuge of the incompetent. In ambiguous situations–like the political uncertainties of a country trying to make a transition to civilian rule with an interim military government all apointed by the ousted regime–the quicker the move to violence as a solution to a problem, the more incompetent an actor is revealed to be. 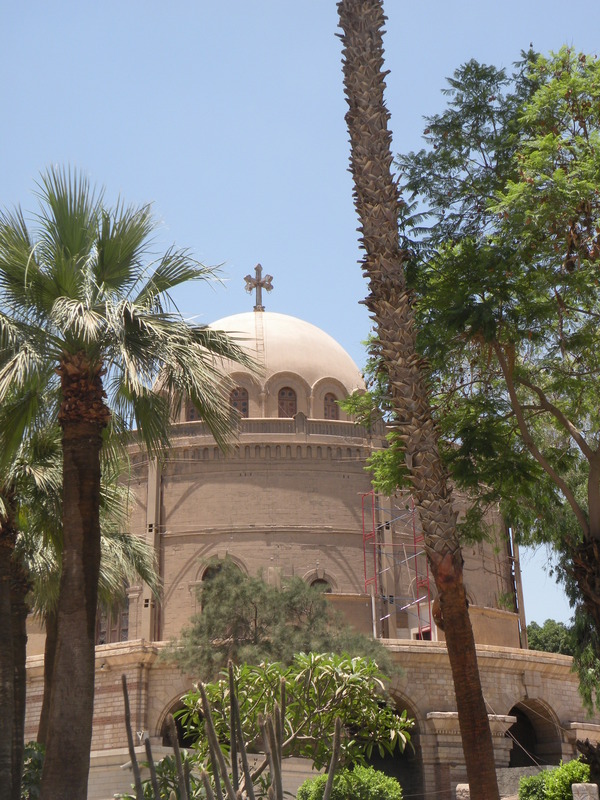 The demolition (or partial demolition; news reports are unclear) of a Christian church in a southern governorate (Aswan, in this case) is nothing new. What is new in post-Mubarak Egypt is that the Copts, and their secularist and Muslim friends, didn’t let it lie. They got out there in the street and protested. The government reacted in the way the Mubarak regime did, under cover of the hated Emergency Law, by sending in armed police with armored police vehicles, arresting protesters and holding them “for investigation.” Police defended their actions by claiming that the protesters started the violence. All according to the script. Prime Minister Essam Sheraf’s call for an “investigation” will be seen by most Egyptians as laughable. This call, too, is strictly according to the old regime playbook; everyone knows how effective such investigations are. Create a national council for sectarian dialogue including an member of the Maspero Youth organization, an appointee of Pope Shenouda, a Muslim Brotherhood official, an appointee of the military, and a respected Salafi leader (one who has officially renounced violence, like Al-Gama’a al-Islamiyya leader Najeh Ibrahim), give them the authority to call witnesses, and a timetable to make recommendations on dealing with sectarian violence. Announce a national fund to rebuild all demolished places of worship (including Sufi and Shi’ite shrines). Raise taxes in the communities where the damage occurred to help pay for it–but not on members of the offended sect. Since taxes in Egypt fall more heavily on the affluent than the poor, maybe local leaders will start policing the radicals in their midst. Announce the immediate creation of a special national police task force charged exclusively with investigating attacks on religious sites; tie pay raises and promotions directly to successful prosecutions. I’m sure with a class of bright grad students at AUC or Cairo University we could generate a dozen better ones. None of these would be a complete solution to the problem of sectarianism in Egypt. To some extent such acts would be mere political theater. But political theater is a necessary part of government; it is one of the ways the state speaks to the people. And what a different message actions like these would have sent to the people of Egypt, as they prepare for November elections, than the sight of armored police vehicles crushing the bodies of protesters. Mark, I’m changing my email address, but will still receive at mayo.edu for a while. I’ll send another notice when I’m not at Mayo.